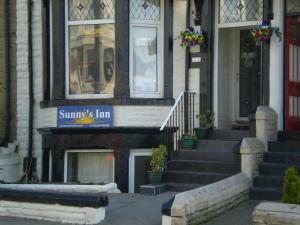 A 2-minute walk from the seafront, Sunny’s Inn provides guest house accommodation with free Wi-Fi in Morecambe. This bed and breakfast is an 8-minute walk from Morecambe Leisure Park. Each room has a TV, wardrobe and tea and coffee facilities. See all Sunnys Inn reviews..